I am here again with a tutorial which very few had taught. Yes! 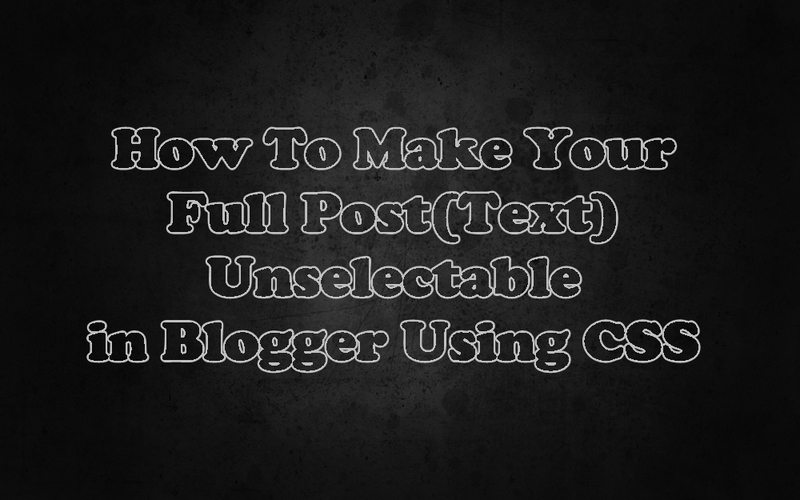 this time I will show you how you can protect your text in your blog from being copied. 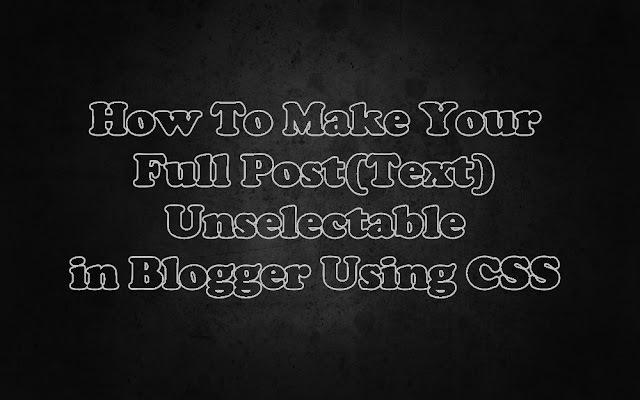 You don't need to have to add any code again and again each time you write your post as I got a way to make your all posts unselectable with a one time setup. Go to your Blogger Blog Dashboard. A search bar will be opened(on top right corner) and paste this code in box : ]]></b:skin> and press Enter key. Paste the below code in blockquote above the ]]></b:skin> and save your template. If you want that default cursor to be shown then just add cursor: default; to the above text code. Now open any of your blog post and see that it works or not. Hope It works for you !!! Happy Blogging!! !